Announcing the 2019 Annual Amigos Library Services Member Conference, "Untapped Potential: Discovering and Developing the Leader Within." Open to non-members as well! Our member conference registration is now open! Members - register by April 19 to receive a free conference gift! Employees who are empowered are more satisfied with their jobs and have better perceptions of management and leadership. Empowering others in the library also helps to banish the "romance of leadership" where leaders get all the credit and all the blame while making everyone else a passive agent in events. A library of empowered people has a greater sense of shared responsibility and accountability and is better at collaboration. This session will explore the benefits of empowerment for leaders, followers, and the library and discuss ways we can empower librarians and library staff. Member update from Amigos' CEO - Alan Kornblau, Board of Directors and election voting. People can identify with multiple groups at any given time based on department, library, gender, culture, politics, etc. The psychological effects of group identity dictate a team’s success. Attendees will learn about this phenomenon and how to facilitate a shared group identity for a more cohesive team and to encourage effective teamwork. Each summer our department (library plus tutoring and the assistive technology lab, with around 60 part-time employees and just 10 full-time) hosts an internal staff development day. After several years of the same old format, run by the same staff, we decided to innovate our approach by mimicking a conference schedule: plenary lunch-and-learn plus multiple concurrent workshops in the afternoon. This empowered our employees to have more ownership of their learning by choosing which to attend and gave others a chance to shine by leading sessions of their own. This presentation will describe our planning process, best practices and pitfalls, and the response we've heard from staff. Pioneer Library System's IMPACT PLS is an internal leadership program developed with the express goal of empowering employees of all levels to lead from where they are. This session will explore the process of creating a competitive and dynamic program open to all levels of staff. Participants will learn the key factors to success of an internal leadership program and will leave able to craft sessions of their own around topics such as advocacy, project management, emotional intelligence and career development. So where are you? Most of us know exactly where we are. We can look at an organizational chart for our institution and plot our place. We know who we report to and who reports to us. An organizational chart is the perfect tool for showing who the bosses are. It is not effective for showing who the leaders are. some basic questions to consider when looking at your professional network so you can strengthen it. This program explores five areas of dynamic leadership: accountability and expectations; failure; initiative and creativity; library narrative; and, communication. Through the combination of these five areas, participants will begin to better understand the type of leadership their library needs to best serve their team(s) and patrons. As libraries continue to evolve, leadership needs to evolve in order to meet the needs of patrons, professionals, and partners. Vince Lombardi famously said, "leaders are made, not born." But what recipe do you follow to create a success leader? A key ingredient of leadership development is the identification and cultivation of strengths, both within oneself and in others. At Randall Library at the University of North Carolina Wilmington (UNCW), members of the Senior Leadership Team have selected and implemented a set of activities that achieves this goal. Utilizing established tools including "CliftonStrengths," the "Forte Communication Style Report," and "Crucial Conversations" training as well as activities incorporated into the strategic planning process, leaders at Randall Library now have a much clearer understanding of their own strengths as well as the strengths found within the library faculty and staff. These strengths have enabled clearer, more productive communication and have fostered a higher level of appreciation for individual faculty and staff. Faculty and staff can more clearly see how their individual strengths can be strengths for the organization. This session will outline the impetus for exploring these activities, an overview of the implementation, and the day-to-day and long-term impact. Anyone looking for free or low-cost methods for strengths-based leadership development can benefit. Most formal training programs in librarianship do not stress the nuts and bolts of leadership and professional development. Understanding this process is essential for current managers as well as those interested in pursuing a management path. Using empathy as a starting point, I will discuss the simple, sequential steps of performing a self-assessment of strengths and skills, how to identify and remedy weak areas, and how to promote yourself in a reality-based, practical way which will benefit your community. This process is applicable to librarians of all types and all levels of experience. Session Description: Employees who are empowered are more satisfied with their jobs and have better perceptions of management and leadership. Empowering others in the library also helps to banish the “romance of leadership” where leaders get all the credit and all the blame while making everyone else a passive agent in events. A library of empowered people has a greater sense of shared responsibility and accountability and is better at collaboration. This session will explore the benefits of empowerment for leaders, followers, and the library and discuss ways we can empower librarians and library staff. 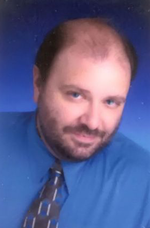 Speaker Bio: Jason Martin is currently the Associate Dean of the Walker Library at Middle Tennessee State University. 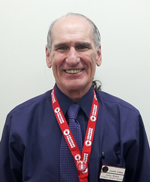 He oversees library assessment, policy, and professional development. He researches, writes, presents, and publishes on leadership and organizational culture. He also publishes and presents on mindfulness, emotional intelligence, productivity, and goal setting and achievement. Session Description: People can identify with multiple groups at any given time based on department, library, gender, culture, politics, etc. The psychological effects of group identity dictate a team’s success. Attendees will learn about this phenomenon and how to facilitate a shared group identity for a more cohesive team and to encourage effective teamwork. 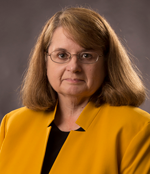 Speaker Bio: Sharon Holderman is the Coordinator of Public Services at Tennessee Tech University, where she manages reference, instruction, tutoring, supplemental instruction, testing, circulation, collection development, and marketing. Previously she worked as a library director at a small branch campus and prior to her library life, she was an academic advisor. Sharon obtained an MA in journalism, an MLIS from Kent State University, and will complete an MS in leadership from Creighton University this May. Session Description: Each summer our department (library plus tutoring and the assistive technology lab, with around 60 part-time employees and just 10 full-time) hosts an internal staff development day. After several years of the same old format, run by the same staff, we decided to innovate our approach by mimicking a conference schedule: plenary lunch-and-learn plus multiple concurrent workshops in the afternoon. This empowered our employees to have more ownership of their learning by choosing which to attend and gave others a chance to shine by leading sessions of their own. This presentation will describe our planning process, best practices and pitfalls, and the response we've heard from staff. 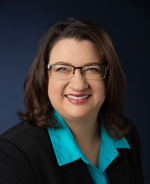 Speaker Bio: Elaine Patton is a Digital Resource Professional for the all-digital library at the University Park campus of Lone Star College. She has an MLS from Syracuse University and a BA in History from the University of Texas-Austin. Most of her time goes to teaching information literacy sessions in the library but can also be found tinkering with the LibGuides and website and designing handouts and posters for events. Session Description: Pioneer Library System's IMPACT PLS is an internal leadership program developed with the express goal of empowering employees of all levels to lead from where they are. This session will explore the process of creating a competitive and dynamic program open to all levels of staff. Participants will learn the key factors to success of an internal leadership program and will leave able to craft sessions of their own around topics such as advocacy, project management, emotional intelligence and career development. 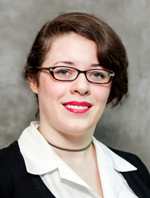 Speaker Bio - Rebekah Lynam: Rebekah Lynam is a branch manager with Pioneer Library System. 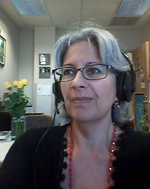 With a background in mass communication and crisis research, Lynam brings a unique approach to library services. As the coordinator of IMPACT PLS for the past two years, Lynam has worked to expand the involvement of participants and graduates in strategy and vision. Lynam has presented at state and national conferences on topics ranging from disaster preparedness to image restoration strategies following crisis and is a graduate of MPLA Leadership Institute. Speaker Bio - Aiden Street: Aiden Street is an Associate Director for the Pioneer Library System and a 2017 Library Journal Mover and Shaker. She is a three time ALA Smart investing at your library grant recipient focusing on financial literacy for staff and diverse populations. She has been a member of ALA, PLA, and OLA since 2003. Aiden was a member of the 2016 PLA Program Committee and is a graduate of the PLA Leadership Academy and MPLA Leadership Institute. 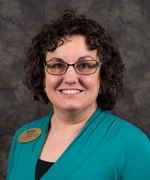 Speaker Bio - Lisa Wells: Lisa Wells is the Executive Director for Pioneer Library System in central Oklahoma. She is a graduate of the University of Oklahoma with an MLIS in Library and Information Studies. A graduate of the Urban Libraries Council, Executive Leadership Institute, recipient of the ULC Joey Rogers Leadership Award, a 2008 Library Journal Mover and Shaker, and a graduate of Class XXII of Leadership Oklahoma. Session Description: So where are you? Most of us know exactly where we are. We can look at an organizational chart for our institution and plot our place. We know who we report to and who reports to us. An organizational chart is the perfect tool for showing who the bosses are. It is not effective for showing who the leaders are. 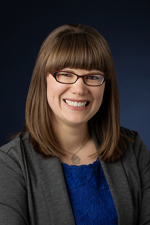 Speaker Bio: Holly Hubenschmidt is Head of Instruction, Liaison, and Reference Services at Webster University Library in St. Louis with responsibility for collection development, instruction, faculty research support, and reference. She serves as Liaison to the Nursing and Nurse Anesthesia Departments. 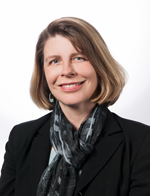 Holly’s second role at Webster University is Co-director of the Global Leadership Academy. She was an Academy Fellow in 2013, and at the end of that year was asked to join the team of directors. With this program, each annual cohort of faculty and staff comes together for a week three times during the year to explore leadership development, develop a grounded understanding of the university and the higher education landscape in all its complexity, and to create ambassadors to the communities Webster serves. Holly holds a BA in Russian Language and Literature from Washington University in St. Louis and an MLS from the University of Missouri – Columbia. Session Description: This program explores five areas of dynamic leadership: accountability and expectations; failure; initiative and creativity; library narrative; and, communication. Through the combination of these five areas, participants will begin to better understand the type of leadership their library needs to best serve their team(s) and patrons. As libraries continue to evolve, leadership needs to evolve in order to meet the needs of patrons, professionals, and partners. 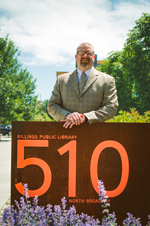 Speaker Bio: Gavin J. Woltjer is the director of the Billings Public Library. When not held hostage in a good book, he enjoys exploring the wilds of Montana with his wife, Rena, and their three children. Woltjer lectures and presents nationally about developing leadership; addressing failure; creating vision (big and small); using data to drive decision making; and, creating civil engagement at libraries. 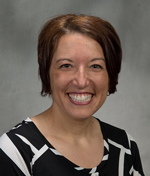 Woltjer holds advanced degrees from the University of South Dakota, the University of Oklahoma, and completed the Library Leadership in the Digital Age program at Harvard University. Session Description: Vince Lombardi famously said, "leaders are made, not born." But what recipe do you follow to create a success leader? A key ingredient of leadership development is the identification and cultivation of strengths, both within oneself and in others. Session Description: Most formal training programs in librarianship do not stress the nuts and bolts of leadership and professional development. Understanding this process is essential for current managers as well as those interested in pursuing a management path. 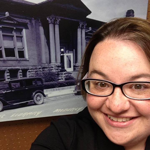 Speaker Bio: Wendy Doucette is an assistant professor and the Graduate Research and Instruction Librarian at East Tennessee State University. 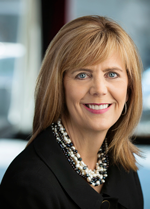 She teaches a graduate course on the art of self-marketing and is a former hiring manager at Lucent Technologies. 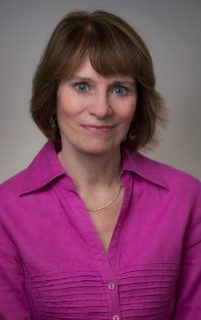 She holds an MS in Library and Information Science from Florida State University and a PhD from Stanford University. Her research interests center on empathy, problem-based learning, organization and motivation, 360-degree literacy, and international graduate students.